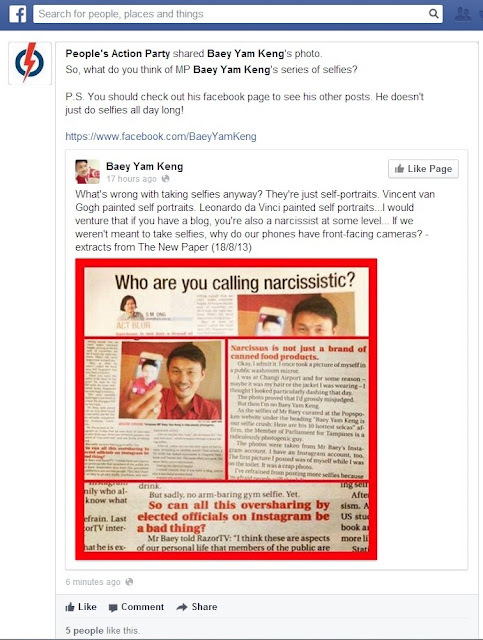 S M Ong: I’m on Baey Yam Keng's Instagram! 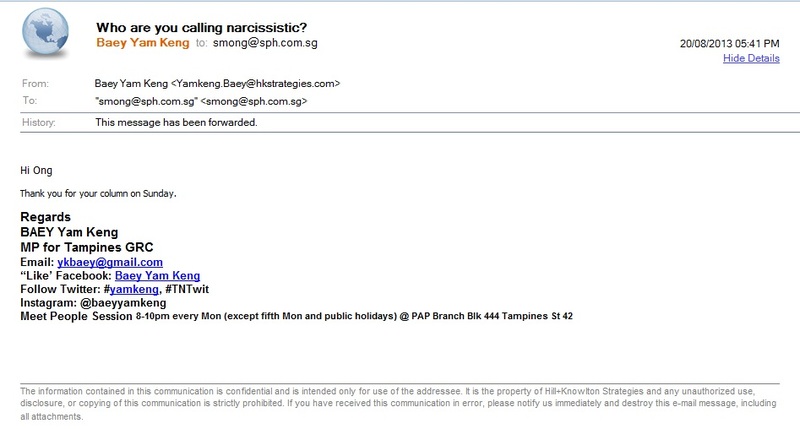 It helps to explain this very brief e-mail I received from the Member of Parliament for Tampines. Here's the column he's referring to: Who are you calling narcissistic? UPDATE: PAP has shared Mr Baey's Instagram of my column on Facebook. It's also mentioned on Stomp.